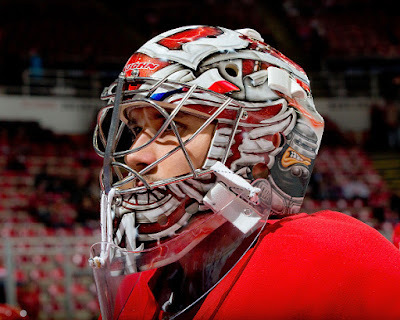 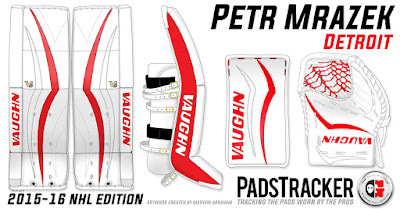 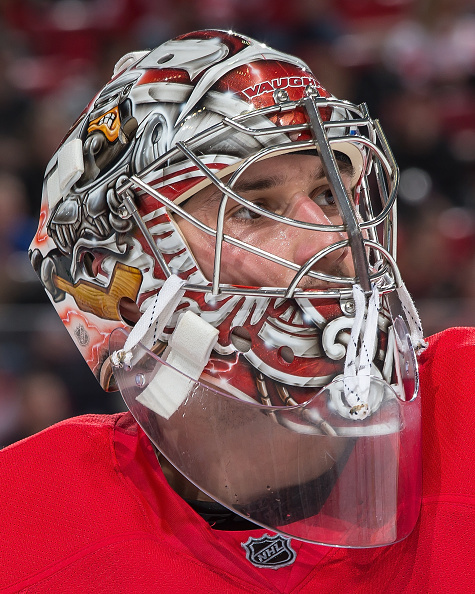 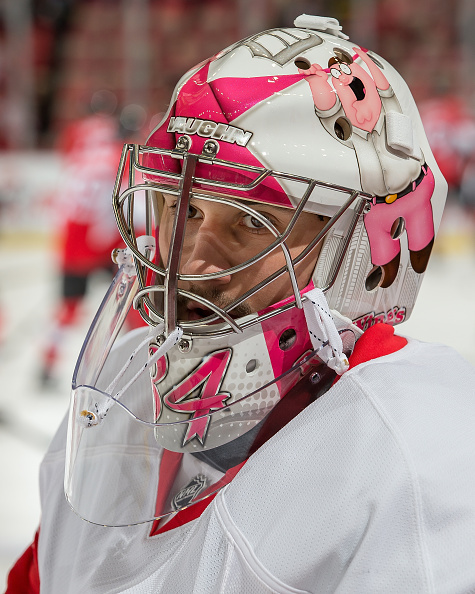 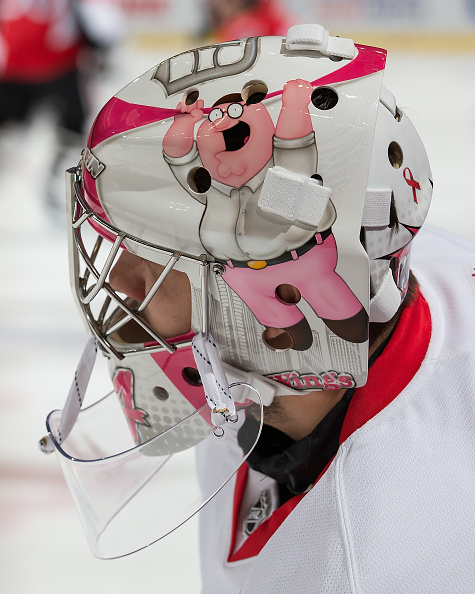 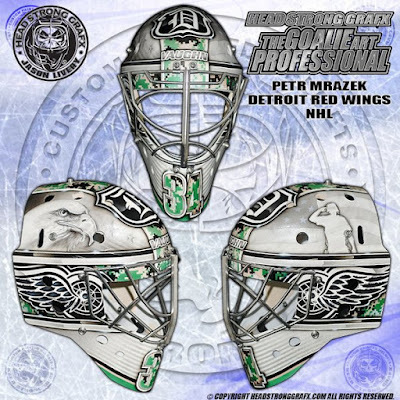 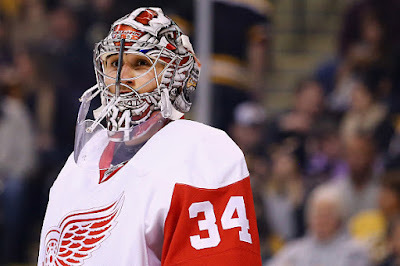 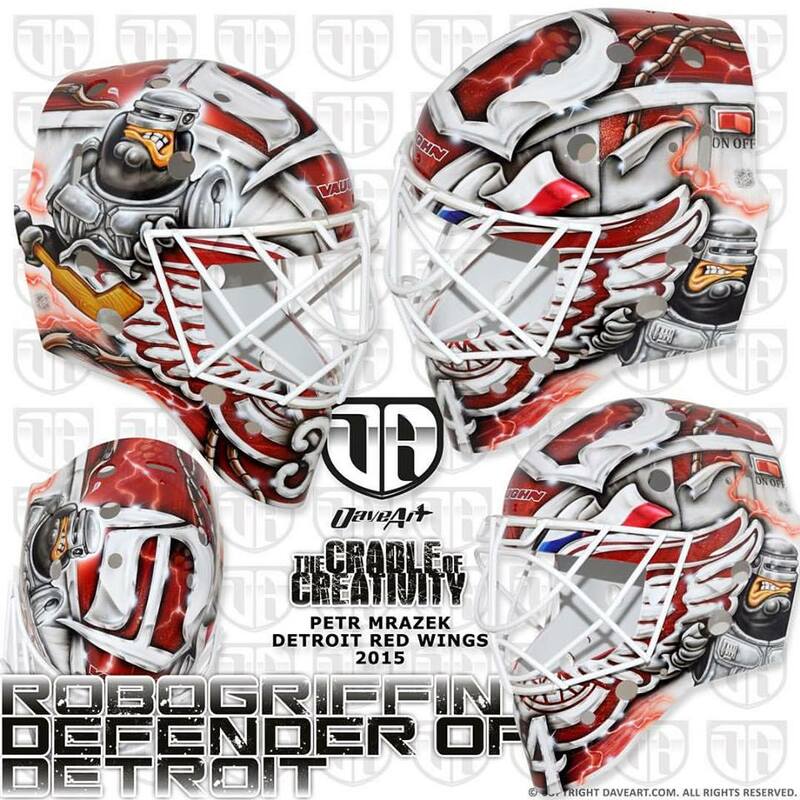 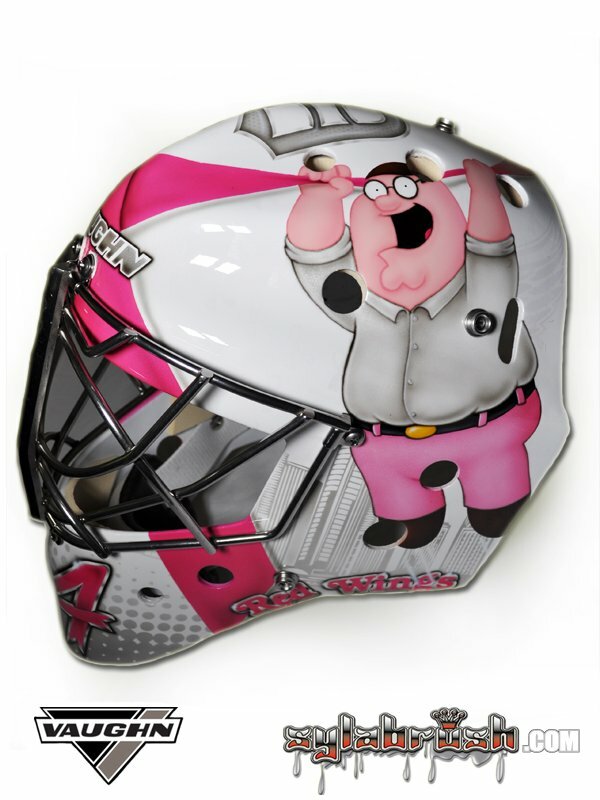 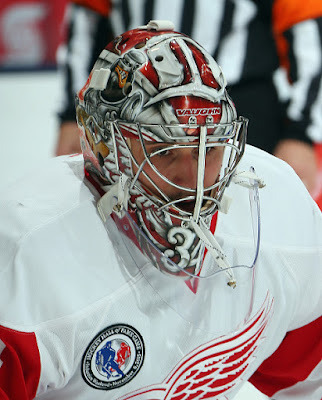 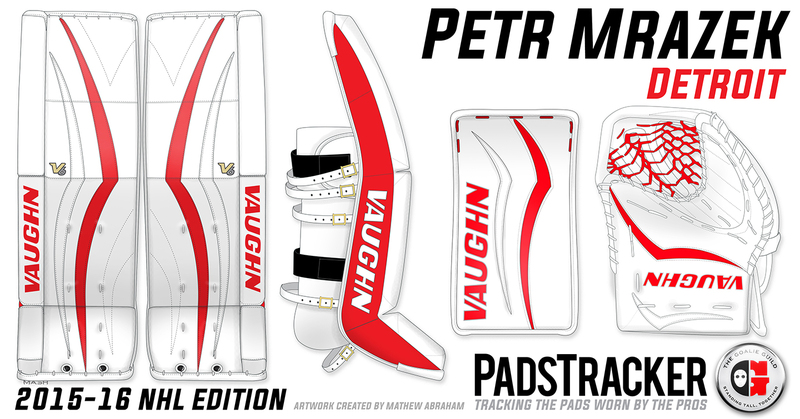 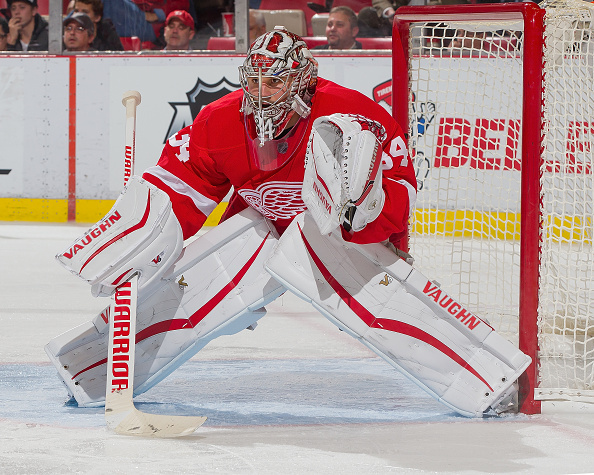 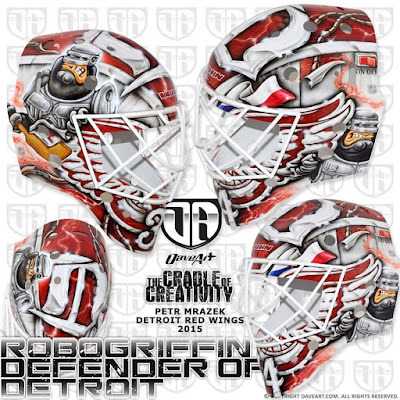 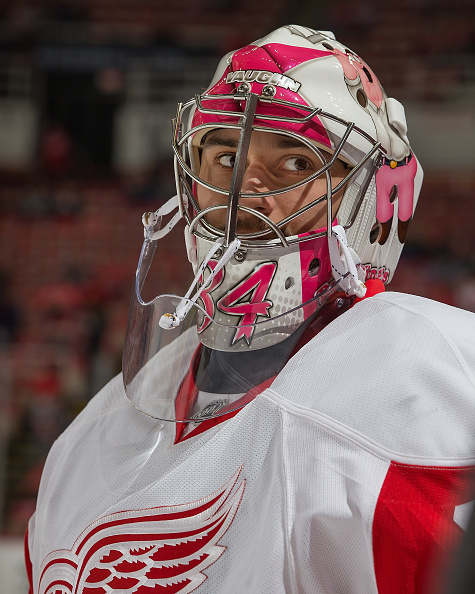 ...since Petr is playing in Detroit, of course his buddy (Peter Griffin of Family Guy) on his mask is transformed into the super cop from the same city... The super cop made of metal, Robocop! 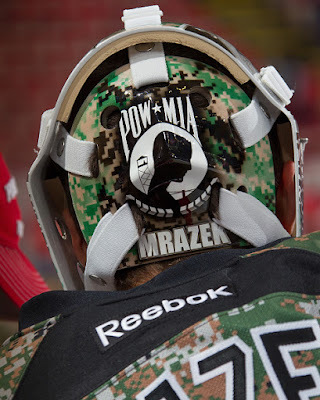 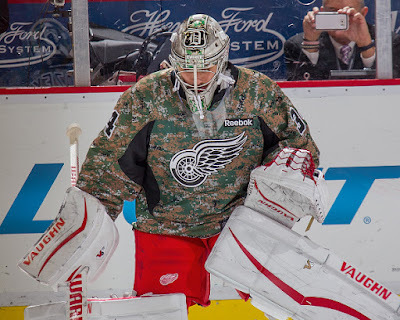 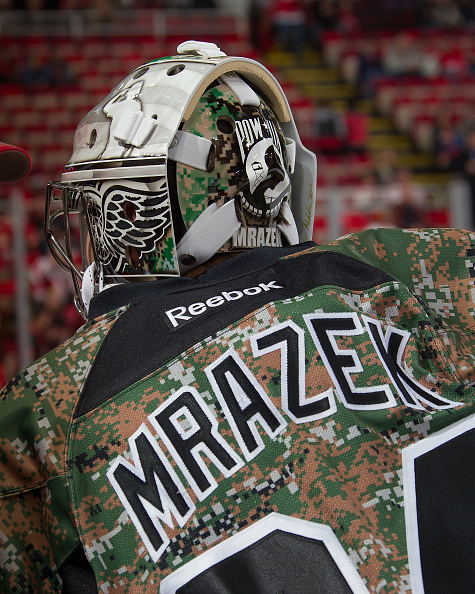 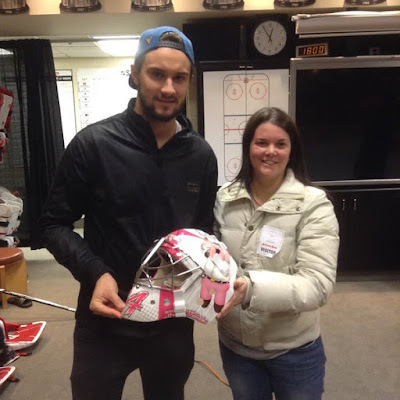 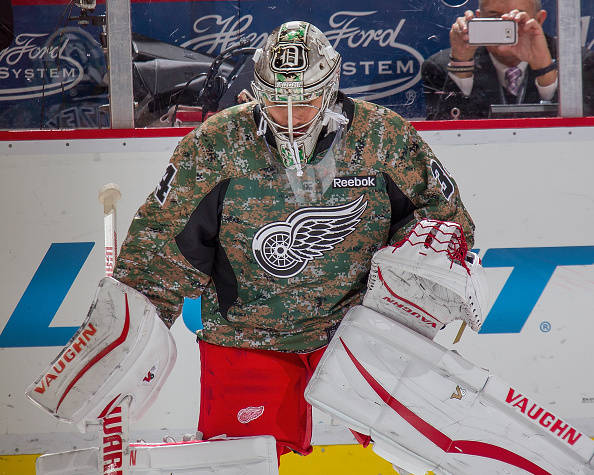 He also wore a special mask during the November 13, 2015 game which was Military Appreciation Night.